ITANAGAR, Jan 30: Former Arunachal Pradesh chief minister and sitting congress MLA Nabam Tuki has written to former prime minister Dr Manmohan Singh to make the stand of the Indian National Congress (INC) party clear on the Citizenship (Amendment) Bill (CAB), 2019. The bill which has been passed by the Lok Sabha is yet to be tabled in Rajya Sabha. However, it is likely to be tabled in the 13-day parliament session that starts on 13 February. 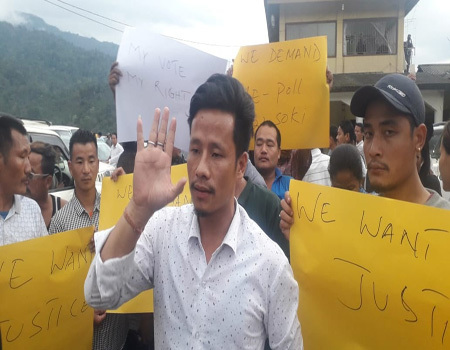 Tuki in his letter wrote: “Congress party should also make the stand clear and raise the issue and may ensure that the Bill is defeated in the Rajya Sabha in order to protect the rights and privileges of the indigenous people of the North East India”. 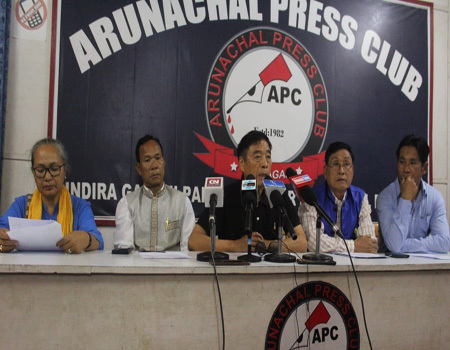 “The other political parties and the chief ministers of the alliance partners of the BJP under NEDA (North East Democratic Alliance) also have totally opposed the Bill in the recent meeting held on 28 January at Guwahati,” the letter further read. In a separate letter to Prime Minister Narendra Modi, Tuki wrote that the passing of the CAB in Lok Sabha and the developments relating to the bill in the North Eastern states are a matter of serious concern. He further added that Arunachal Pradesh has already faced the “unfortunate issue” of settlement of Chakma-Hajong refugees in Arunachal Pradesh, which has created large-scale dissatisfaction in the state, while urging the prime minister to reconsider the decision taken by the Central government for the greater interest of the indigenous citizens of the country, particularly North Eastern states. In his letter to Chief Minister Pema Khandu on the Citizenship Bill, Tuki requested the chief minister to take a strong decision to protest before the union government, for immediate withdrawal of the bill and to urge the Union government, to exempt Arunachal Pradesh from under the purview of the bill. “If this act is passed in the Rajya Sabha, it will become the law of the country and thousands and lakhs of foreign refugees staying in the state will claim their rights, which are detrimental to the indigenous tribes of the states,” Tuki wrote. The CAB seeks to allow illegal migrants, who are Hindus, Sikhs, Jains, Parsis, Christians and Buddhist, from Afghanistan, Bangladesh and Pakistan, eligible for Indian citizenship, amending the Citizenship Act of 1955. There has been massive opposition to the bill in the region. The Meghalaya, Manipur, Nagaland chief ministers, who are under BJP’s North East Democratic Alliance have already opposed the bill.